PROTOCORE : How it all started ! Name’s Vylia, and I’m part of IumTec, the devs behind PROTOCORE. 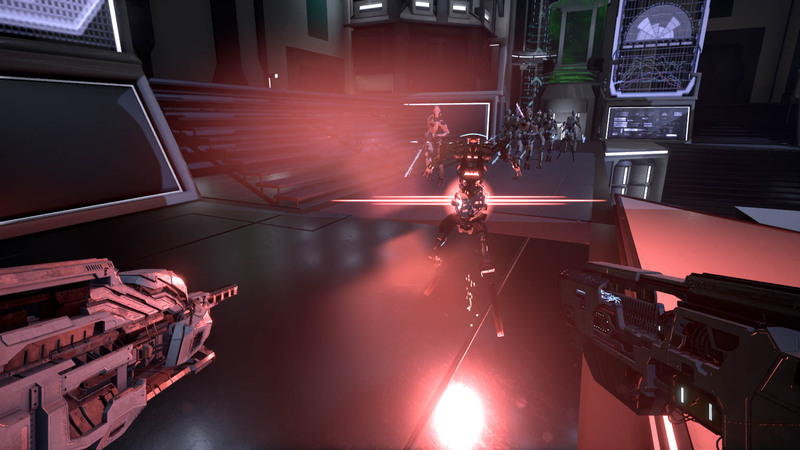 PROTOCORE’s a fast-paced shooter playable in singleplayer/coop up to 4, and being developed for PC. (But you already knew that ;) ) We wanted to share a bit about how the game came to be, and how much has been done ‘til now. It started in mid-2016 as 2 buddies wanting a good coop-based FPS, quite challenging with dual weapons because it’s badass. We were learning as the project was taking shape, and it was as difficult as it was rewarding. Around a year later, when searching for distinctive features to add to the project, we remembered being frustrated by that feeling of “owning” the game, and knowing all the patterns. 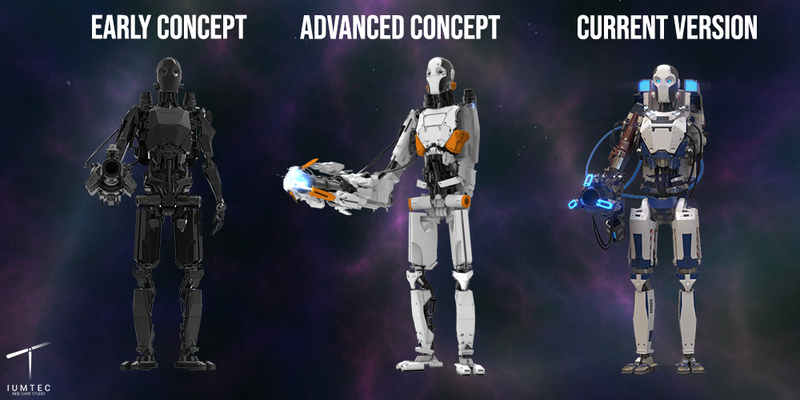 Therefore, we decided to work on an AI that would manage the difficulty of the game, via events that depend on the player’s actions, or his overall ‘skill’. August 2018: PROTOCORE has its first playable version! It still doesn’t reflect the entirety of the game nor everything that has been worked on until now, but it’s something we can show around, right? Well, not exactly. 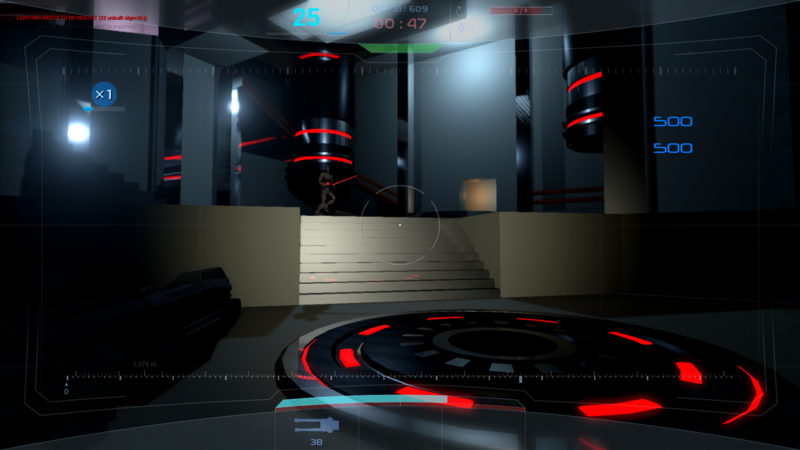 We realized too much time was put into making the game nice, pretty and not buggy; the ‘shape’ if you will. As for actually exciting features like the AI mentioned previously, it’s still not satisfying enough at the time, and thus not yet implemented. Then comes January 2019! 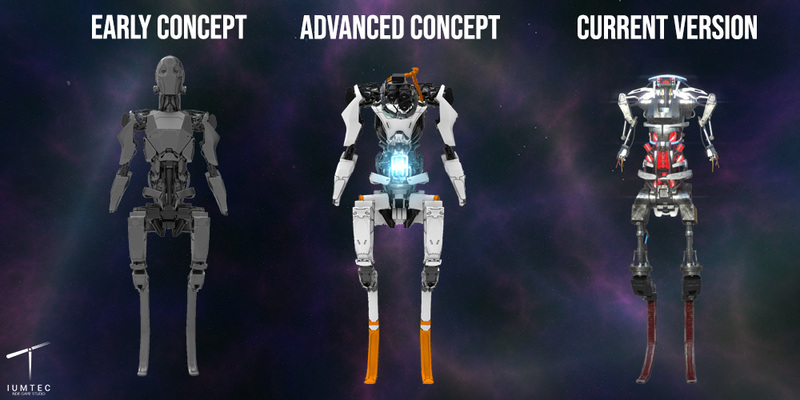 We decided to work on the things that are actually the core of the game, even if it isn’t visually appealing. Let’s get back up from this rookie mistake! More enemies, BOSSES (and huge ones at that! ), actually putting story/lore elements into the game… All the good stuff! And that’s pretty much where we are today! Stay tuned for more! Hostiles, enemies, baddies... And more ! I know it hasn't been too long since last time, but we haven't talked too much about enemies, right ? Let's fix that ! Right now, you can only encounter 4 types of enemy in-game. First one is the Helper. 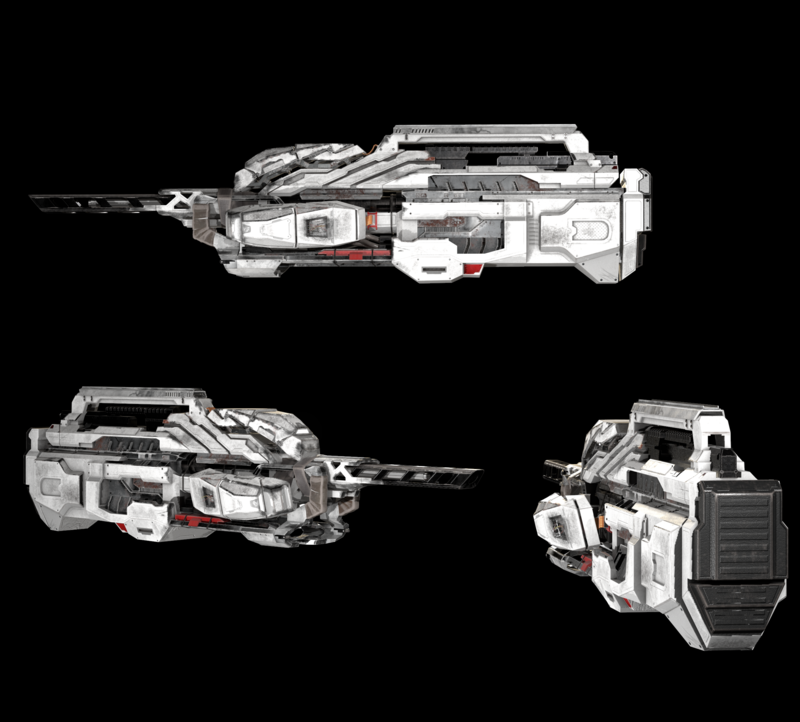 The first model of the series, it was originally designed to help humans with various tasks in the ship. 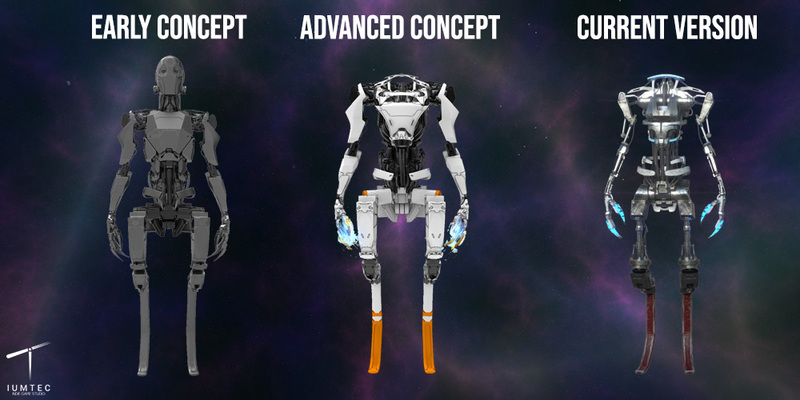 Then comes the Engi -short for engineer, in case it wasn't obvious- . A ranged upgrade of the Helper, that comes equipped with a nasty shield, and a slowing projectile attack. At number 3 is the nasty Raptor. Three words : Vicious. Glowing. Claws. Basically a helper without any plating nor heavy part. And last but not least: the Suicide. Pretty much a Raptor situation, without the claws. Who needs claws when you can self-destruct anyway? These should prove way more sturdy and dangerous than the Helper series. 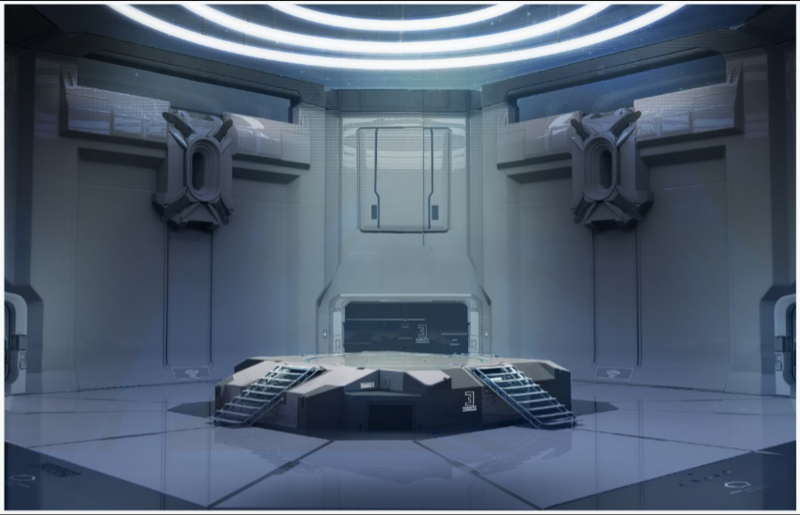 Let's talk about environments ! As you know, all of PROTOCORE's action takes place in a giant spaceship : The Autonoma. 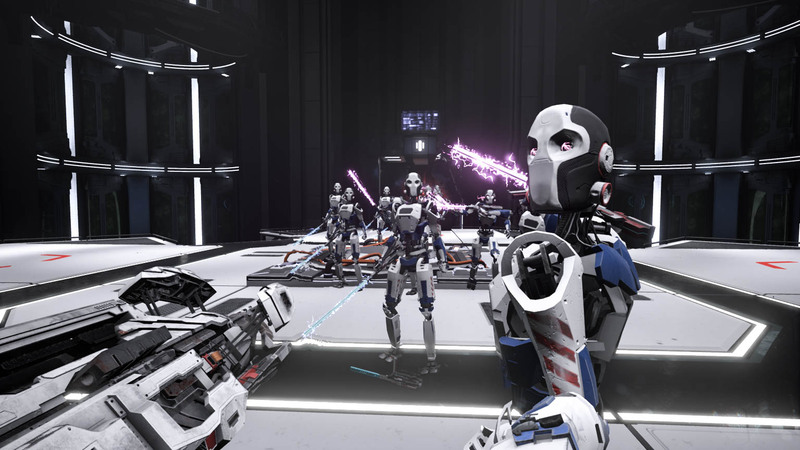 Since the game is still in early development, we needed a room that was an assessment of our capabilities, as much as a well-needed place to slaughter robot after robot (and obviously because we needed something to show at some point). 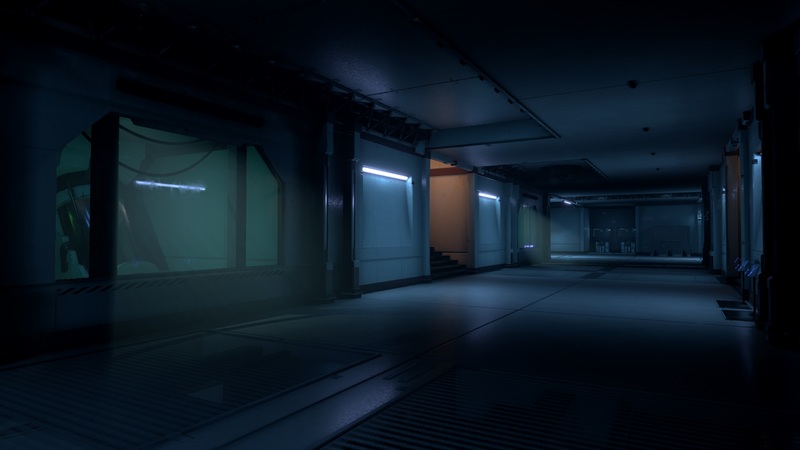 Mid-2018, we decided to stat producing 'real rooms', or at least rooms that would look like, and have the feel of rooms you'd be able to find once the game's complete. With the new mindset we adopted in January 2019, came a new way to create environments. Basically, instead of creating a room, then another like we used to, we design 'blocks' and assemble them to create rooms. Meaning one room doesn't take as much time to create, and we can reuse some elements from one room into another, as long as they belong in the same 'area' of the ship. More on that in a later entry ! This is it for today ! See you next time ! All the booms and pews you want. And then some more. You see, we already talked about the things you had to kill, the places you’re gonna scrap them... But never did we talk about HOW you’re going to turn every hostile you meet into smoldering metal. Yup, you guessed it! This week’s entry is all about bringing out the big guns! Let’s start ‘slowly’, with the weapon that actually has the biggest fire rate : the Light Machine Gun. Not much to say here. It’s an automatic rifle. Pull the trigger, make a good fifty holes in your target, reload, repeat. If you like being close, we’ve got you covered: The Shotgun will surely suit your needs. 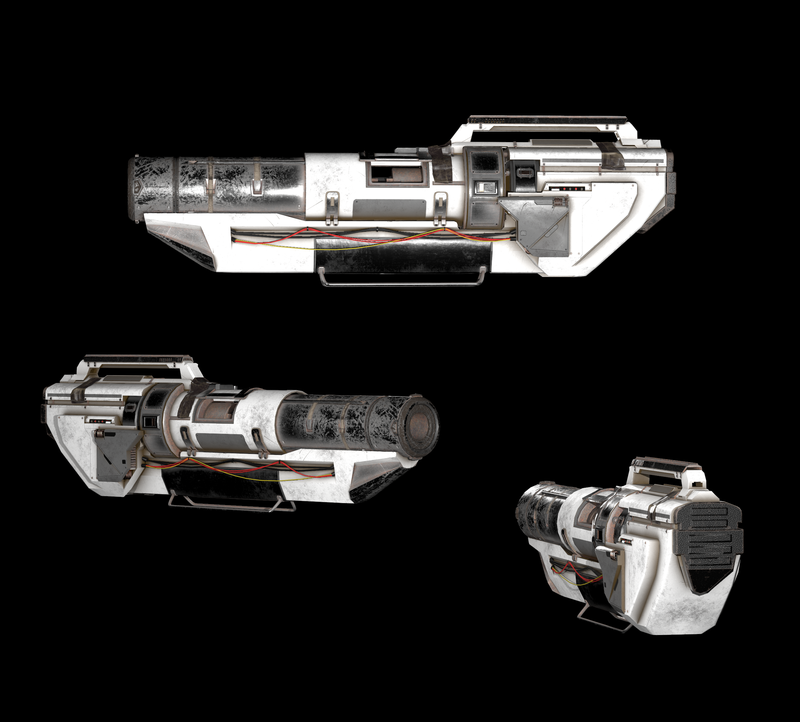 Now talking about my personal favorite, the Grenade Launcher! 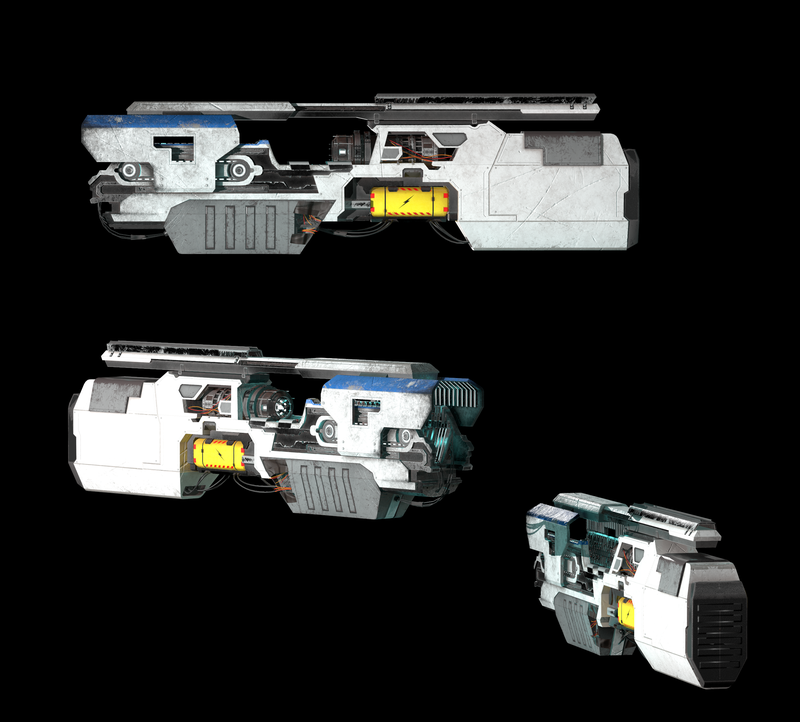 Shoots a grenade, that splits into 4 after travelling for a short distance, allowing for some explosive scattershots. Additional advice: Turn around right after shooting. Doesn’t deal more damage, but you want to be cool, and cool guys don’t look at explosions. Oh! And for more safety, if you use it in close quarters, the grenade sticks to your target and only detonates after a few seconds, leaving you enough time to get the heck out of the blast radius. Up next comes the Stun Cannon. After charging for a short period, it releases some kind of electro-ball, staying in place for a few instants, damaging and slowing anything in its area of effect. Great when you’re being chased in a corridor by dozens of pesky Raptors! 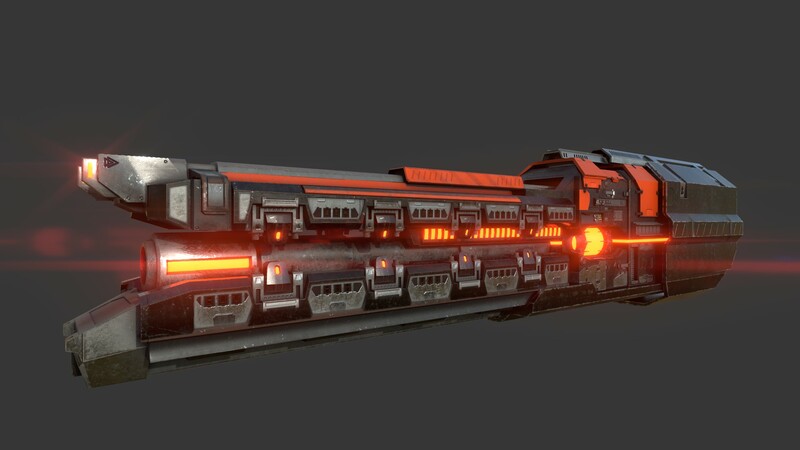 And finally the Laser Rifle. Charge a little, release a powerful piercing laser. Simple enough. Sadly, this thing is deflected by energy shields. Considering the accuracy of this weapon, it had to have a drawback. That’s it for today! I’d end up this entry with a teaser of something’s to come, but it’s actually already hidden somewhere in this article. It’s time, finally! NEW STUFF! A bit late on schedule, but it’s here! 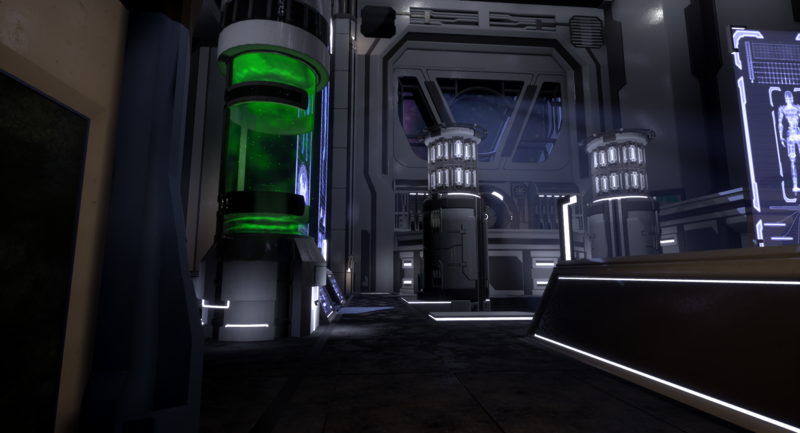 Today’s topic is something you can find pretty much everywhere in PROTOCORE: the Protosyn. 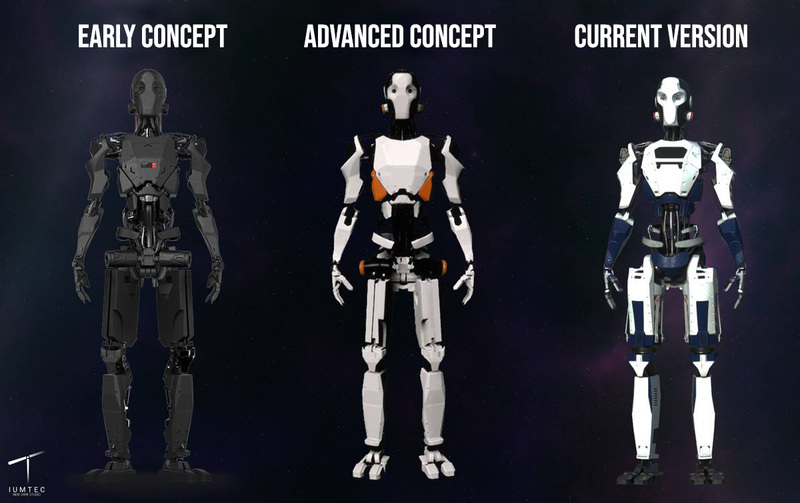 The Protosyn is a kind of nanotechnology we imagined for PROTOCORE. 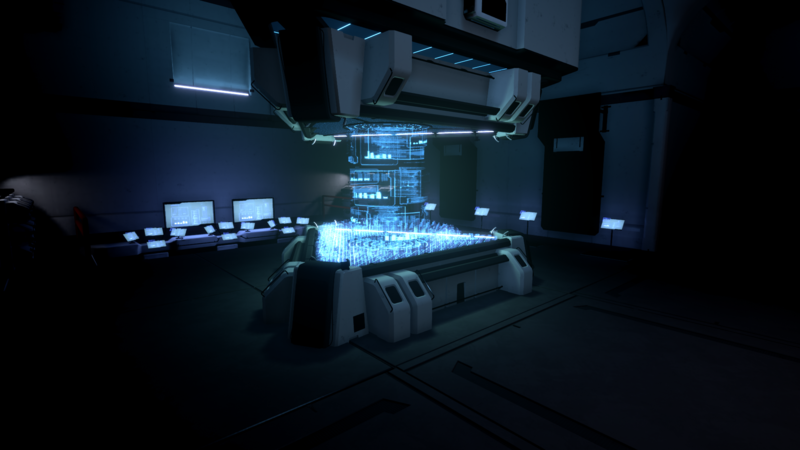 It’s been created in the spaceship where PROTOCORE takes place, the Autonoma. 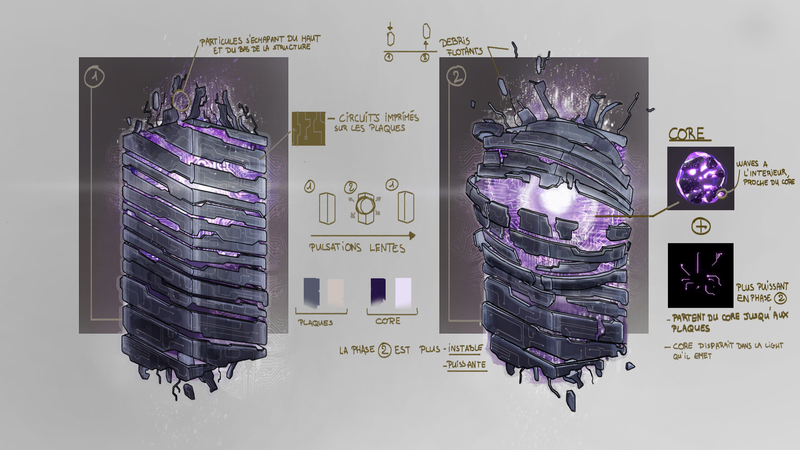 It is mostly used as an energy source like autonomous batteries for the enemies facing you, or even as clusters of explosive matter. Of course, it is also used by enemy forces to bolster their offensive capabilities, although it theoretically reduces their batteries’ longevity. Remember the explosive matter we talked about? 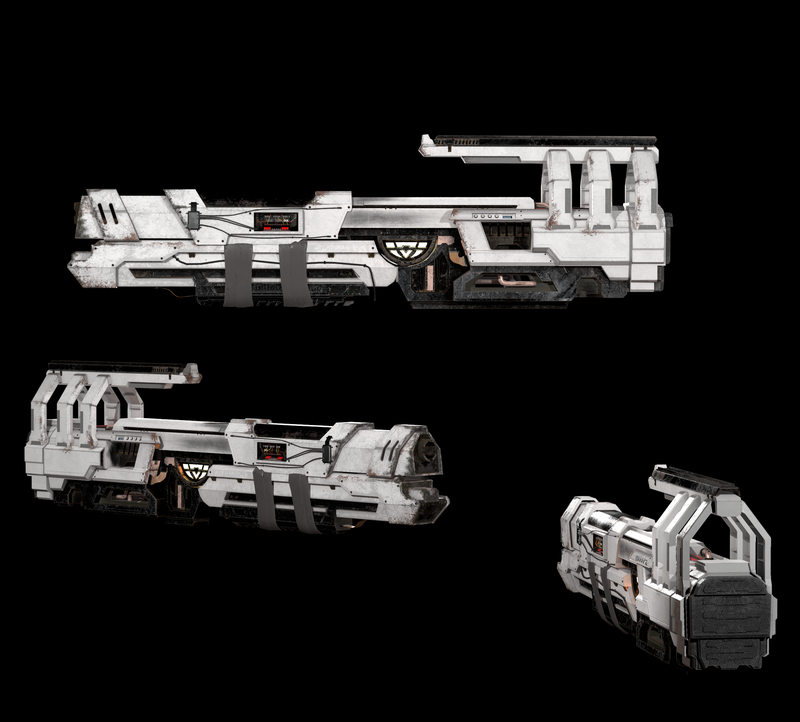 You’ll be able to shoot it to cause some huge area damage (Be careful not to get caught in the blast radius, though). 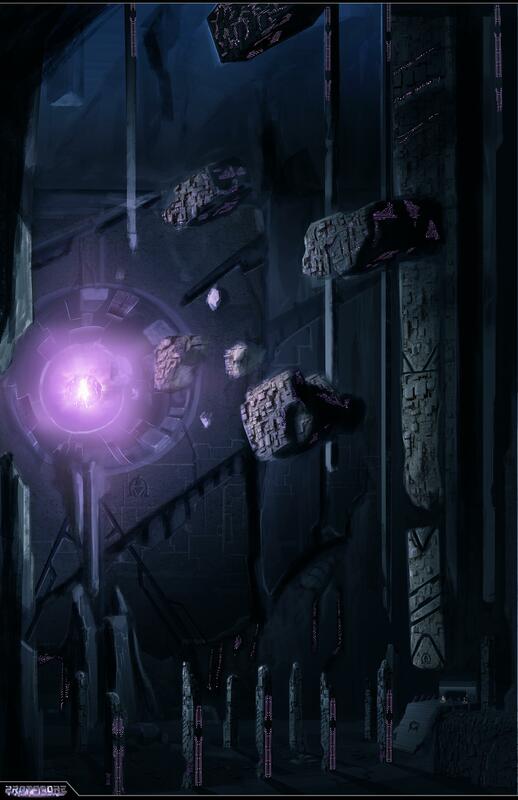 Protosyn can be found pretty much anywhere, from environments to weapons or enemies (as said previously)… We chose purple shades to represent it, as it’s for us synonym of mystery and adds a tad bit of fantasy to the universe we created for the game. On top of that, the Protosyn pulses, kind of like a human heart, to stick out of the otherwise pure and mechanical scenery. Welp, that’s all for this entry! See you next week! Yup! News time! Today’s entry is about something we like to call Nemesis Events. Nemesis events are short interruptions that usually usher in bad things for you. 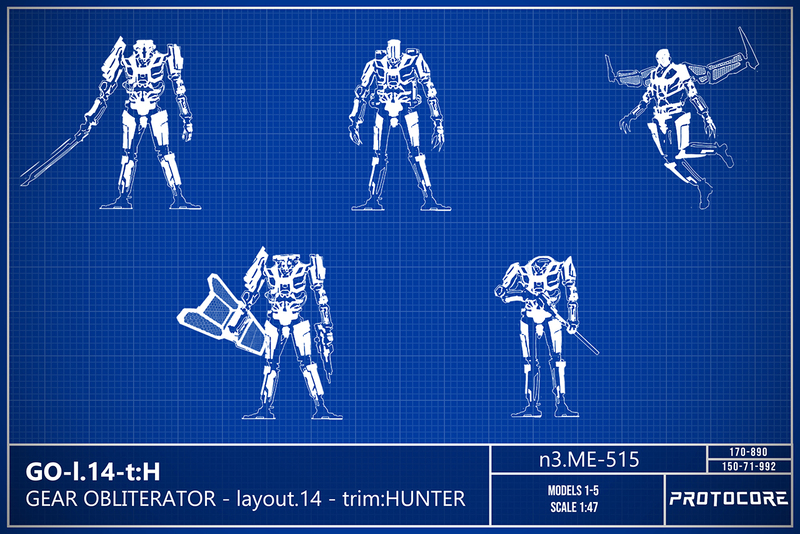 They’re one of the ways to modify difficulty depending on your skill level in PROTOCORE. Nemesis events come into play when you’re not expecting them. There will be a wide variety of them (Only 3 or 4 for now, but more and more are being discussed/added) and they’re triggered by your actions in game. For instance let’s say you’ve killed 8 enemies in less than 8 seconds. 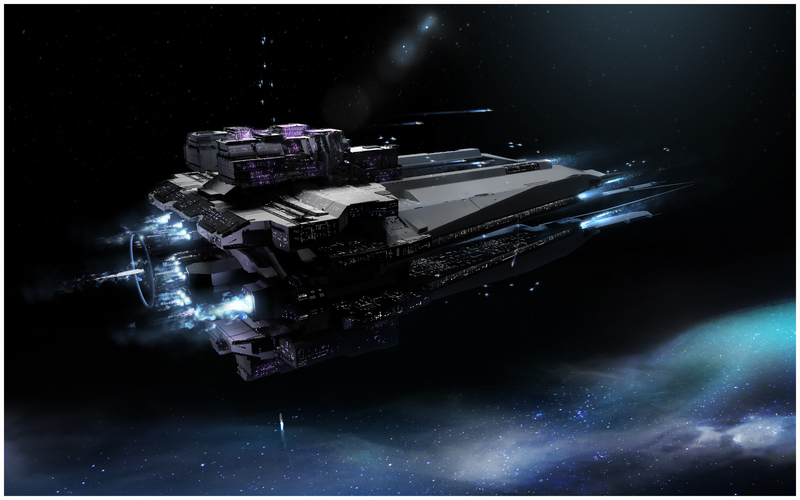 This would trigger an event that empowers enemies with Protosyn (Yup, literally what we were talking last week! ), what is in game called Overload. The game pretty much thinks you’re having an easy time, so it reacts accordingly. Feeling like standing still and shred the waves as they come? It would really be a shame if Raptors were to spawn right in front of you to make you rethink your strategy. Haven’t been hit for a while? 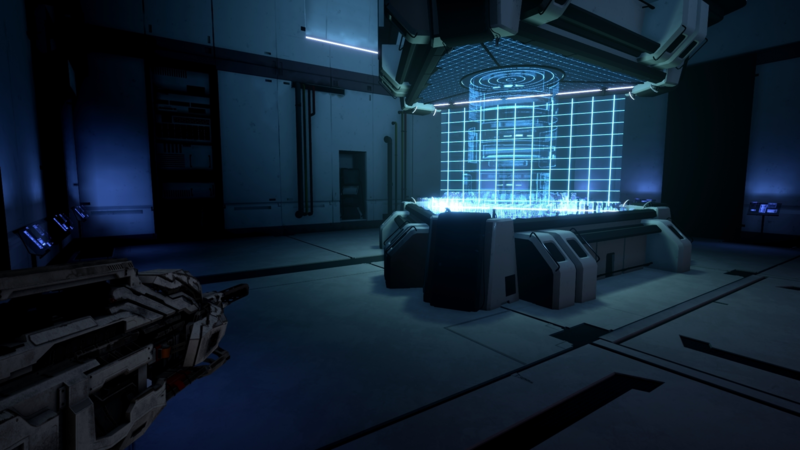 Let’s see you try to kill those visually glitched hostiles before they get to you. Welp, okay. That was… weird. Let’s... Stop for now. See you next time. New entry, new topic! Today, we’re talking about Bosses. Yup! You heard it right! Bigger and way more threatening baddies for you to kill, woo! I’ve picked up three bosses to show you, each one of them being at a different stage of development. Let’s study them a bit! Starting the list with one that’s has been designed gameplay-wise, but still hasn’t been visually designed. We like to call it ‘Cannoneer’ in the studio, but mostly because it’s supposed to be some kind of hug artillery-like machine of doom with mortars and explosives and… Well, you get the picture. Also, you’ll be trying to prevent it from being repaired/completed. 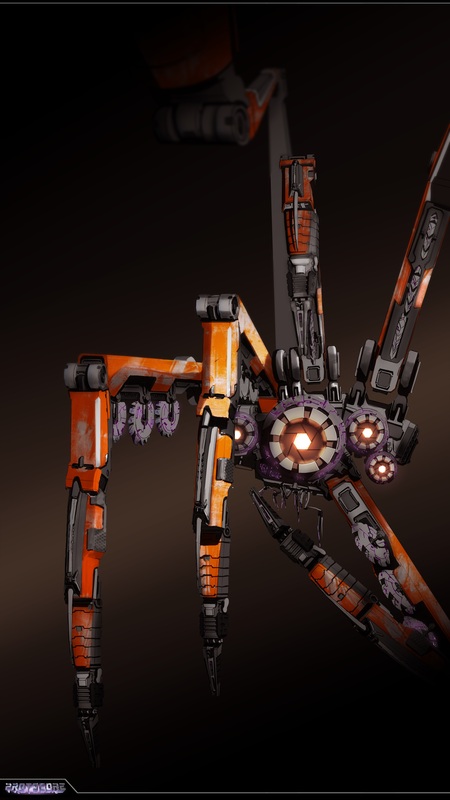 So there will be objectives to hold, FLYING TURRETS trying to put holes in your frail body, laser walls… Good stuff! Next is the most fleshed out of the three we’ll be talking about today: The Mastodon. Remember the Goliath series I teased a few months ago? Here is the first model out of it! 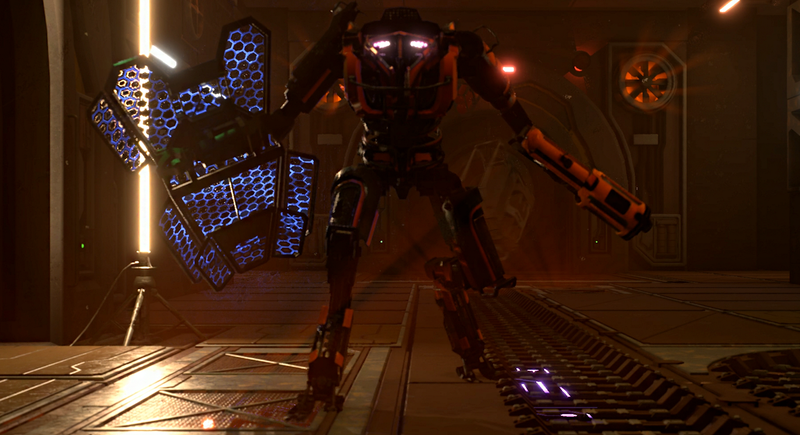 Perfected energy shield technology from the Engis, massive stature, shotgun inspired by yours, and mechanically improved legs allowing for some top speed stampedes. Good luck surviving this one! Finally, the last one we thought but one of my personal favorites already: ‘Thing’ as we like to refer to it (Yup, we had to throw an Addams Family reference there. It’s a hand after all.) Our concept artist came up with this visual representation for you to check out and it’s… Kind of spooky.